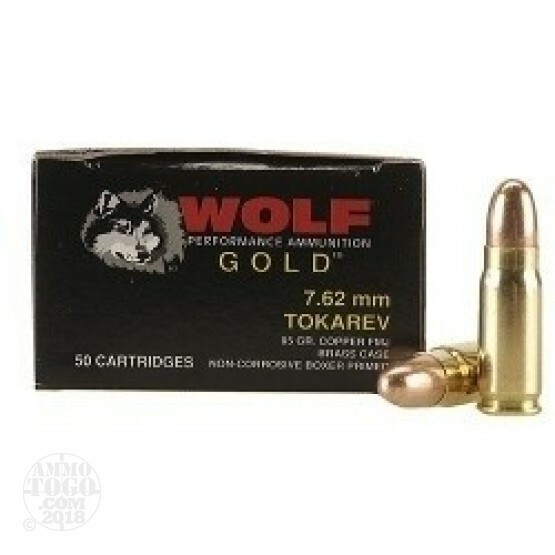 This is 7.62 x 25 Tokarev Wolf Gold 85gr. Full Metal Jacket Ammo. This ammo is manufactured by Prvi Partizan in Serbia. They manufacture premium quality ammo at an affordable price. This ammo is brass cased, boxer primed and 100% non-corrosive. It comes packed in 50rd. boxes.